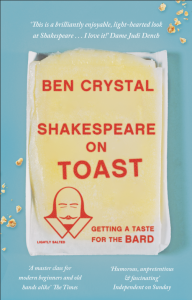 Shakespeare on Toast – 2nd! 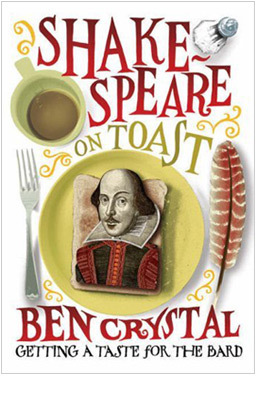 Posted on February 25, 2016 in: Shakespeare on Toast|Comments Off on Shakespeare on Toast – 2nd! Actor, producer and director Ben Crystal revisits his acclaimed book on Shakespeare for the 400th anniversary of his death, updating and adding three new chapters. Shakespeare on Toast knocks the stuffing from the staid old myth of the Bard, revealing the man and his plays for what they really are: modern, thrilling, uplifting drama. The bright words and colourful characters of the greatest hack writer are brought brilliantly to life, sweeping cobwebs from the Bard – his language, his life, his world, his sounds, his craft. Crystal reveals man and work as relevant, accessible and alive – and, astonishingly, finds Shakespeare’s own voice amid the poetry. Whether you’re studying Shakespeare for the first time or you’ve never set foot near one of his plays but have always wanted to, this book smashes down the walls that have been built up around this untouchable literary figure. Giving a talk on Shakespeare, Original Pronunciation, and more, in Central London next month. Twill be at 7pm on June 11th at St Mary’s Church, NW3, as part of the Primrose Hill Lectures 2014 series, in association with Primrose Hill Books. Back from a Passion in Practice workshop and Shakespeare on Toast Schools Workshops and a Springboard Shakespeare book tour around the USA. Coached a Company in their Original Pronunciation in Houston, worked with the San Francisco Shakespeare Festival, colleges in northern and central California, members of the Bristol Faire Ensemble in Chicago, visited the Folger Library in DC, gave a talk and a workshop at the Blackfriars Theatre in Staunton, VA, and spent 10 days in NYC, running workshops and giving talks in celebration of our Bard’s 450th. Back to the UK, to finish work on the new Oxford Illustrated Dictionary of Shakespeare for OUP that lands April 2015, that I’m co-writing with my father, and a book on accents for Macmillan called You Say Potato, that he’s writing with me, which will land October 2014. 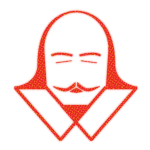 Meanwhile, am getting ready to direct The Winter’s Tale in June, and preparing the Original Pronunciation events for the Shakespeare’s Globe this July. My Shakespeare Ensemble, Dad and I will be presenting three events in the new Sam Wanamaker Playhouse. An evening of Prose and Poetry on July 10th, an evening of Songs and Sonnets on July 17th, to include new scorings of Shakespeare’s songs composed by Sam Amidon, played live by The Askew Sisters, ending with a cue-script rehearsed, staged reading by candle-light of Macbeth on July 20th – all to be heard in the recreation of the accent Shakespeare’s Company spoke in. As we approach Shakespeare’s 450th birthday celebration, what do the next 50 years hold for his works? Actor and producer Ben Crystal, author of Shakespeare on Toast, Springboard Shakespeare, and co-author of Shakespeare’s Words and the Shakespeare’s Miscellany) discusses why our current approach to Shakespeare’s works may need to change, how we can learn from the practices of the past to see our way forward, and the dramatic effect these lessons may have on the existing canon. Giving a talk at the British Council, which is open to all to come to, & is apparently being given a LIVE equally free Webcast for those who can’t. 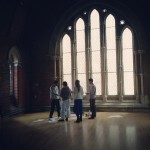 The Passion in Practice Workshop last weekend went terrific well. Do head to Passion in Practice Cinematography to see the video footage.